For all pharma businesses, it is a challenge to enable their field force—Sales and Marketing—to be consistent performers. The success or failure in this direction will accordingly decide the fate of the organisations. Even if an organisation has highly innovative molecules in its product basket, it is of no consequence if its field force are not consistently performing. The very fact that every pharma business is trying to achieve this with all its might shows how important this activity is in driving the business forward, though only some succeed. In the light of this, the topic that we are going to discuss in this article assumes great importance. In ethically promoting Pharma business, field force are the resources who generate prescriptions for the products being promoted, thus bring in revenue, therefore the figures at the top of the line always depend upon their contribution. However, not all members of the field force are consistently hitting the numbers. If we enable most of the field force to unlock their potential and hit the numbers consistently, then imagine its impact on the top of the line! That’s what every business is trying to do, though only some succeed. Let’s discuss below some ways and means of achieving this, not by doing things drastically and painfully, but by tweaking a bit of things that we have been doing all along. First and foremost, there should be an unending appetite to succeed in the profession—like Sunil Gavaskar for runs in Cricket—earn well, grow in career, and stand tall in the society in the minds of the field force. However, if this is lacking in a few, it should be inculcated by the organisation and also by the lINE MANAGERS. I have seen people growing from Medical representatives to Zonal Sales managers, Brand/Product managers, Marketing managers, National Sales managers, Vice presidents sales & marketing, Managing directors, Chief Executive Officers, etc in a span of 10-15 years. They have earned such positions due to their sincerity, hard work, and delivery of expected results consistently in each position, despite odds. If this is possible for them, then why not for others? A session on this can be thought of during the in-house training programmes to inspire and motivate newly joined Medical Representatives. The HR team, in consultation with the sales &marketing team arrive at the criteria they expect for a frontline salesman (medical representative) with which hopefully he/she can perform well in the field, and ensure that it is well understood and implemented by all involved in the selection of candidates. For example, some of the criteria may be as under: a) Biology or Pharmacy graduate, b) Fresher or with only 1-2 years of experience in same line, c) good communication skill, and d) enjoys meeting highly qualified customers, outgoing type , and interacting with them, e) age group 20-25, and f) reference check should be favourable. Well begun is like half the battle won! However, we all know what has been happening in reality. In their eagerness to fill up vacancies, line managers often finalize candidates who may not fulfill some of the important criteria, that are also approved by Sales/Marketing and HR Heads at Head Office. I have seen many Medical Representatives working in the field with I.T. (Industrial Training like Welder, Fitter), 12th pass qualifications who struggle for words in front of the Doctors. They may end up spoiling their own image as well as the organisation too in front of the Doctors. Once the selection process is over, the selected candidates are sent to Head Office for a comprehensive class room Training, and are deployed only after successful completion of the Training programme. Rarely the concerned line managers regularly follow up with the HR and Training Heads about the progress being made by candidates in the training programme whom they have selected and sent. At the end of the training programme, when the time comes to reject candidates who couldn’t come upto the company’s standards, we often see the interference by line managers to get them cleared in the name of having to fill up long pending vacancies, as otherwise we shall lose business. We learn to come out of this mindset, and both Sales & Marketing and HR heads, in consultation with the training head, should say a firm ‘no’ in unison instead of compromising to candidates who couldn’t come up to the Company’s standards , keeping in view the long term interest of the organisation. The line managers, though most of them know about what exactly is their job responsibility, believe that it is enough if they work with each one in the team for a few days every month; and while leaving tell them strictly that “I don’t know what you will do, but you will have to achieve the numbers this month without fail, otherwise you will not be in my team”. If some one is not performing well, they tend to blame the training department. Things may not work out like this most of the times. Line managers have to ensure that each and every one in the team implements the sales &marketing strategy in full in the field, provide on-the-job training, mentorship, and also act as an ‘enabler’ or ‘facilitator’ in enabling each one in the team to hit the numbers, and thereby his own numbers consistently. This will help them to retain full strength in the team as well. The communication part or the ‘detailing’ plays a big role in deciding whether a medical representative is going to succeed or will he end up as another mediocre performer. We all know the detailing story is designed by the marketing/product management team, and has to be memorised and reproduced verbatim by the medical representative in front of the doctors, thus convincing them to prescribe the products detailed. Here, the product management team can play a vital role in ensuring that the detailing story for any product is crisp, to the point, and not too lengthy. Doctors are very busy these days, and don’t have time and interest to listen to long stories. The meaning and importance of every point discussed in the detailing story should be explained to the medical representatives during the launch/cycle meetings by the marketing/product management team, and thereafter by the line managers in the field. If they understand the meaning and importance, it will be that much easier for them to memorise and reproduce, thus create the desired impact, leading to better results. Similarly while finalising products for marketing, marketing department should decide on products with a difference that can offer some benefits to the patients, that can be highlighted in the detailing stories, instead of just ‘me too’ products. Organisations should encourage consistent performers by rewarding them handsomely, including career growth. Policy should be to look within for higher positions. Only when we don’t find suitable candidates within, we should look outside. Some organisations have the habit of saying goodbye to field force who are unable to hit the numbers right away, thereby creating more and more vacancies and losing sales. If the candidate is sincerely trying, working habits are good, and the primary and secondary sales are on the rise, then we should give him/her a few months to settle down and hit the numbers regularly thereafter. In-house publications at regular intervals highlighting the achievements of consistent performers, highest incentive earners, career growth of high performers, awards, medals, certificates earned, information about great detailers, details of conversion of important doctors, success on establishing new products, etc. can be considered to spread the competitive spirits around and also to inspire and motivate for better performance. Review/Audit of the Customers/Coverage list must be carried out periodically (at least once in six months) to understand the extent of contribution by each customer for each production whom we have invested precious efforts and promotional inputs vis-à-vis his/her potential and our expectations. If the contribution is very poor or nil, despite our best efforts, the medical representative and his line managers need to take a call on whether to replace that non-performing customer with a new customer from the same speciality from whom we can expect to get meaningful contribution in the near future. The idea is to have lots of customers in the coverage list contributing to the business, and avoiding wastage of precious efforts and inputs on nonperforming customers. This will in turn ensure that the customer/coverage list of each Medical Representative is updated and active. If we implement the above in all sincerity, it will get into the DNA of the organisation. Then it will greatly improve the number of consistent performers in the field, leading to a big leap for better in the top of the line figures. Since most of the field force are now consistently performing, it should give them a lot of confidence, better quality of life through better earnings including attractive incentives, and career growth, leading to more stability in the field. 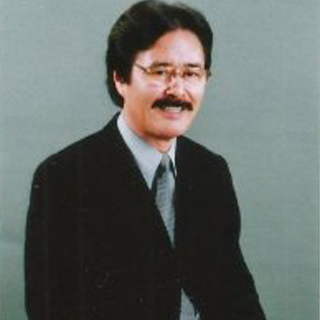 Yoshinobu Horiuchi graduated from Kyushu University in 1971. After experiencing vaccine production in Chiba he assisted JICA to establish a vaccine laboratory in Jakarta in 1988. He later moved to the National Institute of Health (current NIID) of Japan in 1991 to work on vaccinology, biological statistics and endotoxin control. 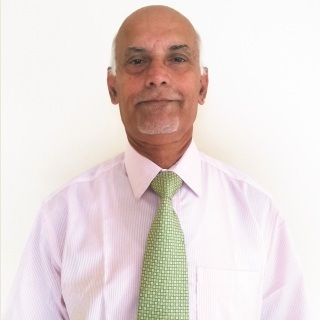 Srinivasan V has over 35 years of rich experience in Pharma Industry in HR, Sales Administration, and Training functions. He was conferred with the award “The Transformational Leader for Pharma Industry”. He has to his credit over 500 published articles in India and abroad. Author of the book “Reach For the Stars” which is like a Bible for aspiring and already working Medical Representatives.